The University City equipped with the largest, state-of-the-arts infrastructure and the newest laboratories in the Caucasus region will be built in Kutaisi. International Charity Foundation “Kartu” will be actively involved in implementation of the program of the international educational center in Georgia as well as in support of the Kutaisi University Complex and other projects. 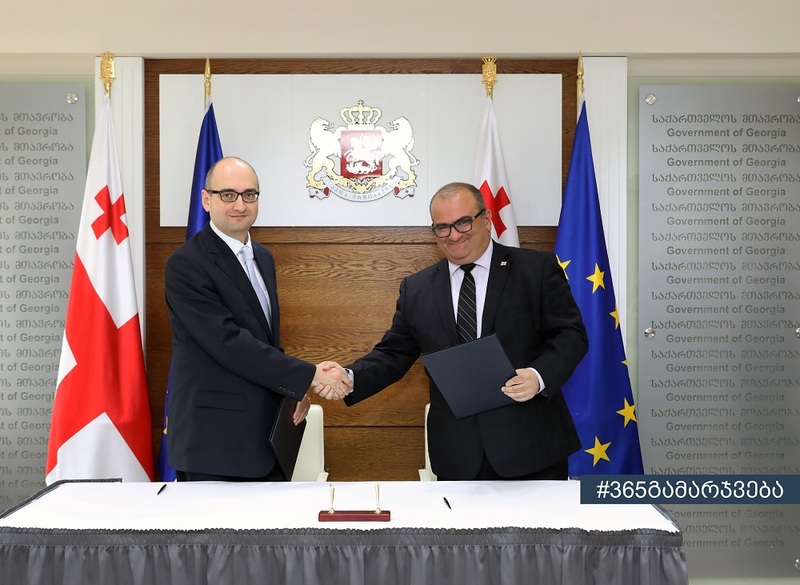 Vice Prime Minister of Georgia, the Minister of Education and Science Aleksandre Jejelava and the Director of the Charity Foundation “Kartu” - Nikoloz Chkhetiani signed the memorandum today. The priority objective of the education system is to increase the quality of higher education, offering the higher education complying with the labor market demands, to promote internationalization of higher education and to support the lifelong continuous education system. In the field of science development, commercialization of research products and development of innovations, strengthening of international cooperation in research activities, popularization of science in Georgia and promoting of youth involvement are also important. Accordingly, Kutaisi University Complex will become the best mean for achievement and implementation of these objectives and tasks.